How to get form values into array in php and display the result using for loop. 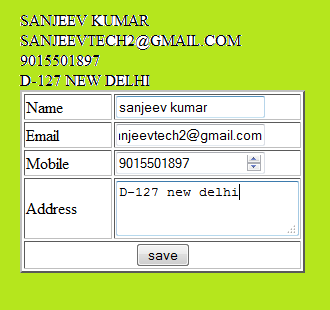 Simply create a HTML Form using multiple element like text filed, email field, number field,and textarea field. You already know, to get form values in PHP, gives field name(input name=”arr”), this name always called in PHP. Here we define all the field name as array(arr). Access and assign this field name in PHP in a local variable $array. it means $array variable holds an array. We know, to print array’s all value use for loop or foreach loop. For loop starts with intialization i.e 0. count( ) function returns the number of elements of an array. Display the array value in uppercase called array value inside strtoupper( ) function.